Chris is in his 4th year at Georgia Tech and majors in Computer Science with a focus in Artificial Intelligence and Information Networks. He grew up in Roswell, Georgia just thirty minutes north of Atlanta. Outside of Delta Chi, Chris is a member of the Georgia Tech Barbell Club, loves playing ultimate frisbee, competes in road races, and enjoys spending his free time working on personal Computer Science projects. Matthew is a 4th year Computer Engineering major who grew up in Woodstock, GA. He has completed a co-op with Itential which is a startup in the field of network software engineering. Outside of Delta Chi, he is a trombonist in the Georgia Tech Marching Band and a member of the Grand Challenges program, where he worked on developing an automated seeding robot for hydroponic systems. Matthew enjoys playing a multitude of intramural sports, specifically flag football, traveling to away games with the marching band, and relaxing with friends. Daniel Becker is a 3rd year Computer Science major concentrating in Theory and Information Internetworks. He is also pursuing a minor in Computing and Business as part of the Denning Technology and Management program. Daniel is a teaching assistant for the Computer Organization and Programming class. This past summer, he interned at American Express as a Cloud Engineer. Outside of school, he loves running and rock climbing. Andrew is a 5th year chemical engineering major and the 'D' of the Georgia Tech Chapter of Delta Chi; a proud member of the chapter since January 2015. Bred a Georgia Tech fan, Andrew has lived in Atlanta for 22 years. He is looking to graduate this upcoming Spring and following will go into industry, hoping to pursue a job involving alternative energy production or battery research. In his spare time, he enjoys playing sports, spending time outdoors, and following Atlanta sports and international football. Anthony is a 3rd year computer science major and is currently working at the Home Depot's IT department. His job is to serve as a liaison and representative to the alumni, as well as plan events that foster bonds between current brothers and alumni. He was the previous Philanthropy Chair and Summer Treasurer and enjoys serving as a leader within the Chapter. Outside of his life in Delta Chi, he loves hiking and listening to music in his free time, and has also started voice acting as a hobby. Hunter Voltz is a 3rd year Chemical and Biomolecular Engineering major from Virginia Beach, Virginia. 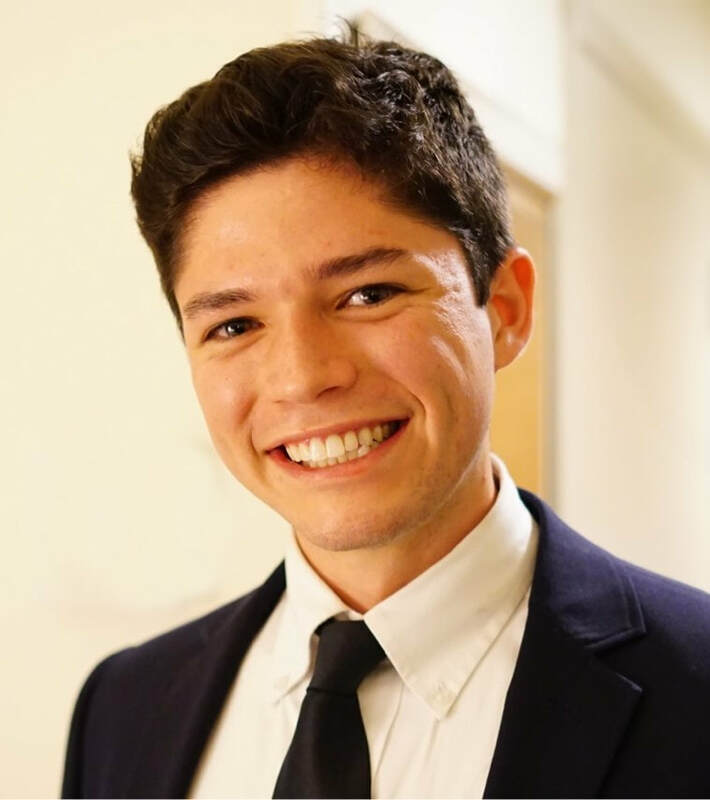 Outside of Delta Chi, Hunter serves as a Justice on the SGA Undergraduate Judiciary Cabinet and a mentor and retreat planner on the Honors Leadership Council. He also works as a facilitator on the Georgia Tech Leadership Challenge Course. Hunter studied abroad at GT-Lorraine and loves the outdoors, and he hopes to combine that love and his major to advance the field of renewable energy. Zach is a 4th year Industrial Engineering and International Affairs Major from Mableton, Georgia. He previously interned at Disney World, worked for the Atlanta Braves, and has just returned from a study abroad program in Metz, France. Outside of Delta Chi, Zach is an executive member of Georgia Tech's Model United Nations team and a writer for The Crouton. Zach hopes to continue his work with Disney or in sports and make an impact in either field, as long as it's near a beach or the city. Zach enjoys intramural sports, relaxing to good music, and anything Disney.